This article explores the efforts of Social Security planners to establish a disability program in the United States and the history of the program over the past 50 years. It describes how the program has evolved and the internal and external influences that have affected its development. The author is a senior analyst with the Office of Research, Evaluation, and Statistics, Office of Policy, Social Security Administration. Acknowledgments: The author is grateful to the following persons for invaluable comments on earlier drafts of this paper: Fred Arner, Howard Bradley, Anthony Chavez, Larry DeWitt, Eli Donkar, Joe Humphries, L. Scott Muller, Bill Newton, Rene Parent, Jack Schmulowitz, Regina Smith, and Martynas Ycas. Today it is widely recognized that the acronym "OASDI" refers to the Old-Age, Survivors, and Disability Insurance program of the Social Security Administration (SSA). However, the program that began in 1935 originally did not contain provisions for disability insurance. In fact, the "D" in OASDI was implemented more than 20 years later, on August 1, 1956. This is the date that President Dwight D. Eisenhower signed into law the 1956 Amendments to the Social Security Act establishing the Social Security Disability Insurance program. At first the program provided monthly benefits only to disabled workers between the ages of 50 and 65 who met certain requirements for insured status. Even though the program later significantly expanded its coverage, its implementation in 1956 represented the historic culmination of an effort by Social Security planners that began in the 1930s. This year—2006—the Social Security disability program celebrates its 50th anniversary. In February of this year, this program administered by the Social Security Administration paid benefits to more than 8 million disabled individuals and their dependents. Although SSA still faces challenges in administering the program, it has succeeded in accomplishing what planners had envisioned: the provision of social insurance to one of the neediest groups in the United States. There had been much resistance to the introduction of disability benefits. Major concerns then underscore the same operational issues that challenge the program today: the difficulty in determining whether a disabled individual has lost the capacity to work and the concern over managing program costs. Opponents of implementing cash disability payments had legitimate concerns, and Social Security planners recognized this. However, historically, as well as currently, planners believed that problems encountered were surmountable and that the need for disability benefits was so great that the federal government had an obligation to address the issue. This historical narrative concludes with a discussion of the 2001 report of the Social Security Advisory Board. Released in the same year that Jo Anne Barnhart was confirmed as the Commissioner of SSA, this report predicted that the projected growth in the disability programs would overwhelm the policy and administrative infrastructure of the programs unless fundamental changes were made. Commissioner Barnhart had been a member of that Advisory Board. Upon taking the reins at SSA, Commissioner Barnhart initiated a series of changes to address many of the concerns expressed in that report. A description of the Barnhart initiatives and their implementation are described in this issue of the Social Security Bulletin in a companion article, "Addressing the Challenges Facing SSA's Disability Programs." State-sponsored insurance against job-related injuries, sickness, old age, and unemployment were common in Europe before 1930. Progressive Era social workers and social scientists in the United States had long advocated the introduction of social insurance programs similar to those that existed in many European countries.1 However, reformers had made little progress during the 1920s. They were hampered not only by the opposition of some business interests but also the skepticism of organized labor, which was suspicious of government intervention and the motives of middle-class reformers. But the political climate became more favorable with the arrival of the Great Depression. One factor that influenced the establishment of Social Security in the United States was the Townsend Old-Age Revolving Pension Plan movement in the early 1930s. This movement was started by a 66 year-old California physician named Francis E. Townsend. Dr. Townsend, upset at the sight of three elderly women foraging through a trash can for food, in early 1933 sent a letter to the Long Beach Press-Telegram proposing that every American aged 60 or older be provided with a federal pension of $150 (later increased to $200). Townsend's idea was not only to provide financial support to the aged but to reduce the number of surplus workers. What began as a letter to the editor of a newspaper quickly evolved into a national movement that put pressure on Congress to do something to help the aged and unemployed (Schlesinger 1960, 29–37). President Franklin D. Roosevelt believed that social insurance for the aged, unemployment insurance, and national health insurance were necessary components of his plan to restore economic stability. 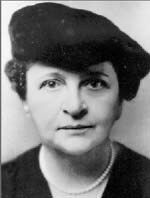 In an effort to counteract legislation being prepared in Congress by advocates of the Townsend Plan, in June 1934 he asked Secretary of Labor Frances Perkins to chair a presidential study group, the Committee on Economic Security. The task assigned to this group was to prepare social security legislation to be put before Congress in January 1935. The report of the Committee on Economic Security recommended legislation that would provide old-age and unemployment benefits, aid to dependent children, and public health and child and maternal health programs. The report did not recommend disability benefits, but it included a reference to disability. It stated that "illness is one of the major causes of economic insecurity" and that "one-third to one-half of all dependency can be traced to the economic effects of illness" (Abbott 1941, 291). There was widespread public approval for Social Security, but its design and features faced opposition from both sides of the political spectrum. Some in Congress felt it did not go far enough and were disappointed that it contained no provision for national health insurance, a proposal that had been opposed by the American Medical Association (AMA). Others felt the proposal went too far. As a result, the final Social Security Act of 1935 was scaled back from the more comprehensive social program outlined in the Committee on Economic Security report. The final bill created the Social Security and unemployment compensation programs and also included federal/state public assistance programs for the aged, for the blind, and for dependent children. 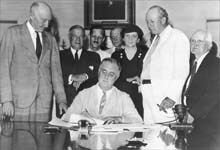 The original Social Security program did not include several elements of the current program, including benefits for dependents and survivors and disability benefits.3 Dependents' and survivors' benefits were incorporated just a few years later, with the 1939 Amendments to the Social Security Act. Health insurance (Medicare) came into being 30 years later, in 1965. The rest of this section examines the history of the two decades leading to the establishment of disability insurance. Debate about the enactment of a disability program centered on two issues: the administrative difficulty of determining whether or not an applicant was too disabled to work and the potential cost of the program. Much of the concern surrounding these issues was due to the empirical experience of private insurance companies in providing disability insurance. At that time, evidence concerning permanent and total disability insurance revealed that private insurance companies providing such insurance were experiencing serious losses. Insurance companies began to offer disability insurance during the latter part of the 19th century. The policies generally provided only accident protection and were limited both in the amount of the benefit payable and the length of time that benefits were paid. Policies usually allowed the insurance company to cancel the policy or increase the premium on relatively short notice. In 1916, the first noncancellable and guaranteed-renewable policies were offered; this was considered a revolutionary innovation at that time (Soule 1984, 1–2). After World War I, the disability insurance industry grew significantly, and many policies included liberal definitions of disability, something that many companies would later regret. Since many of the policies were written by companies with skills in life insurance rather than disability insurance, important protections for the companies were sometimes missing from the policies. For example, some of these policies increased the benefit the longer the policyholder remained disabled, thereby creating a disincentive for the person to return to work (Soule 1984, 2–4). During the Great Depression of the 1930s, the number of disability insurance claims rose dramatically, and the length of time the policyholders remained disabled increased. Losses in the disability insurance industry were substantial, particularly for companies that had written policies with expansive definitions of disability. Many companies stopped selling disability insurance, others failed financially, and the remainder made changes in their rating or underwriting practices to make themselves less vulnerable to loss (Soule 1984, 4). Sales of disability insurance began to increase after 1940, but the policies were very restrictive. The typical disability insurance policy had a definition of disability that was strictly determined by the policyholder's ability to work in any occupation, paid no more than $200 per month, and was time-limited to no more than 2 or 3 years. One side of the federal disability insurance debate among planners was advanced by I.S. Falk, a public health expert with the Social Security Board's Research and Statistics Division. He believed that disability insurance in the private sector had fared so poorly because companies had failed to develop appropriate actuarial data or to set adequate rates. Private disability insurance also suffered from "adverse selection" and "moral hazard. "4 Falk argued that compulsory coverage would eliminate the problem of adverse selection and that effective administration would address the issue of moral hazard. On the other side of the debate were concerns about the cost of a disability program. In particular, insurance companies disagreed that the industry had used poor business practices and did not believe that federal bureaucracy could do a more effective job of administering a disability insurance program. They also argued that moral hazard could not be avoided without the discipline of the profit motive. Adding support to the insurance industry's concern with the high costs of a federal program were the Social Security Board actuaries W.R. Williamson and Robert Myers. The actuaries were concerned that disability insurance would be an expensive and uncontrollable program. However, in the face of the numerous predictive uncertainties, the Social Security Board actuaries were at a loss to produce cost estimates to contribute to the disability program discussions (Berkowitz 1987, 54). The 1938 Advisory Council was the first of many formed to conduct broad reviews of issues facing the Social Security programs. In the early years, Advisory Councils were formed on an ad hoc basis approximately every 10 years. The law was later modified to require the appointment of an Advisory Council every 4 years. Typically, the Secretary of Health, Education, and Welfare (later the Secretary of Health and Human Services) appointed a chairperson and 12 other persons representing employers, employees, the self-employed, and the public. When the Social Security Administration became an independent agency in 1994, the quadrennial Advisory Council was replaced with an Advisory Board with seven members, each serving a 6-year term. Members of the Social Security Advisory Board are appointed on a bipartisan basis by the President, the House, and the Senate. In 1938 the first Advisory Council was jointly chartered by the Social Security Board and the Senate Finance Committee. The Advisory Council had several topics of major interest (including funding of retirement benefits through a reserve and providing benefits for widows and dependent children). Disability insurance was not at the top of the Social Security Board's priority list. No social security retirement payments had yet been issued by 1938, and the Social Security Board was interested in securing the basic program before it attempted to branch out into an area as challenging as disability. However, disability insurance was a topic of discussion for an Advisory Council strongly divided on the issue. One group of Advisory Council members, led by Edwin E. Witte, an economist from the University of Wisconsin, favored immediate inauguration of benefits for persons who became totally and permanently disabled before age 65 and for their dependents. This group conceded that making determinations of permanent and total disability would be difficult, but they did not believe that the difficulty was great enough to warrant a delay. They argued that most countries with an old-age insurance system included protection for the permanently and totally disabled and did not find the administrative problems insurmountable. M. Albert Linton, president of the Provident Mutual Life Insurance Company, led another group of Advisory Council members. Linton's group believed that it would be unwise to assume responsibility for a new type of protection, the cost of which was indeterminable, without an accurate prediction of the cost of old-age and survivors insurance. Further, they thought that disability insurance would introduce administrative problems of great difficulty. They warned advocates of disability insurance to consider that the experience of private insurance companies with this type of coverage had resulted in heavy losses and had practically been abandoned. Another member of the Council, Albert Mowbray, an actuary from the University of California at Berkeley, argued that the United States was still in a depression, and the large number of unemployed workers would put enormous pressure on the disability program. the provision of benefits to an insured person who becomes permanently and totally disabled and to his dependents is socially desirable. However, opinions varied regarding the timing of implementation. Some members advocated immediate introduction of disability benefits, while others believed that "the problem should receive further study" (Advisory Council on Social Security 1938, 5). This political debate continued into 1939, a year during which 57 life insurance companies doing business in New York lost $29 million on permanent disability insurance. It was estimated that the entire insurance industry had lost over half a billion dollars. In an effort to curtail the losses, companies began to tighten the definition of disability, to increase the period before benefits were payable, and to place restrictions on the types of persons to whom they would sell policies. Most companies eventually stopped selling disability insurance (Berkowitz 1987, 51–52). Social Security planners started formulating disability insurance program policies long before the program was actually introduced. 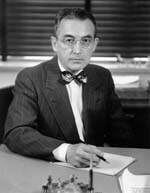 Arthur Altmeyer, who headed the Social Security Board and later the Social Security Administration from 1936 to 1953, made major contributions to the development of disability policy as early as 1941. Altmeyer had previously been a workers' compensation administrator and understood from personal experience, as well as from program investigations, the difficulties in administering workers' compensation.5 He believed that making decisions about disability was problematic because it did not rest on a set of facts but instead on conclusions that were drawn from the facts. Nonetheless, despite his knowledge of the inherent challenges underlying a disability program, Altmeyer argued that the Social Security Board should proceed, but with caution. Altmeyer stated that the need for disability insurance might be even greater than the need for old-age protection because the disabled often require medical and nursing care in addition to income maintenance. He also pointed out that disability insurance was available to only a portion of U.S. workers: federal workers, most state workers with retirement programs, and railroad workers (the Railroad Retirement Act provided benefits to the permanently and totally disabled who were aged 60 or older and had 30 years of railroad employment). Altmeyer (1941, 4) proposed a definition of disability similar to that employed by United States Government Life Insurance, which could be purchased by persons who had served in the U.S. military or naval forces in World War I. Under this insurance program's rules, disability was measured in terms of a reduction in earning capacity to the extent that the worker could no longer engage in "substantial gainful employment." However, this program also required a finding of permanence of disability, a concept that Altmeyer regarded as difficult to predict in many cases. He proposed a 6-month waiting period to eliminate impairments of a temporary nature and, in cases where the prognosis was doubtful, to ensure that findings of the examining physician be supplemented by the results of specialist examinations and by clinical tests to resolve any doubt about the duration of the disability. Altmeyer proposed that in cases in which a worker was entitled to both disability insurance and workers' compensation, the social security benefit should be adjusted to ensure that the combined benefits did not exceed a specified limit. This approach would avoid duplication of benefits and establish a clear division between the two systems. Altmeyer presented two perspectives on the amount of the disability benefit (Altmeyer 1941, 7). He believed that workers close to retirement should be discouraged from applying for disability benefits unless they had a disability so severe as to preclude substantial gainful employment. This could be accomplished by making the disability benefit less than the old-age benefit. However, his opinion was tempered by the brief experiences of the old-age retirement program. These experiences suggested that the amount of social security benefits was not great enough to induce workers to retire from gainful work as long as they were capable of holding a job that paid a substantial salary. Altmeyer concluded that in such cases the amount of disability benefits should be the same as the old-age benefit. Nevertheless, he recognized that this conclusion was based on limited observation. Altmeyer also proposed that the disability benefit be increased to allow for the care of dependent children and for a wife who had one or more minor children of the worker in her care. Discussion of the method of deciding whether or not an applicant was severely disabled enough to be eligible for benefits was in its earliest stage. Altmeyer (1941, 9) was clear about one thing: unless the disability resulted in economic loss, it should not be compensated. Consequently, he proposed that the determination include input from a physician and a labor market expert who was familiar with the willingness of employers to hire workers with various types of impairments. He suggested that the experience of other disability programs in the United States and abroad be examined before developing a determination process for social security disability benefits. Since he did not regard the permanence of disability to be predictable in all cases, Altmeyer strongly advocated that physical and vocational rehabilitation be provided whenever there was a reasonable likelihood that the worker could once again become capable of working. Thus, the social insurance disability program he proposed had a threefold purpose: medical care to prevent and cure chronic disease, rehabilitation for workers with chronic impairments, and cash benefits for the chronic invalid. The entry of the United States into World War II forced the nation to turn its attention toward defense and away from domestic programs such as Social Security. Looking forward, Altmeyer was concerned about a possible postwar recession and saw a need for a wartime implementation of a disability insurance program to ensure its operations in the postwar period. Consequently, in its annual reports to Congress in 1944 and 1945, the Social Security Board recommended the adoption of a disability program (Social Security Board 1944; 1945, 3). Still, with the end of the Great Depression and with the prosperity of the postwar era, the expansion of Social Security was less of a Congressional priority. However, one priority during World War II was a program to assist civil defense workers who became disabled in the performance of their civil defense duties (DeWitt 1997, 69). In 1942, President Roosevelt created the Civilian War Benefits program to address this concern. The Civilian War Benefits program was allocated $5 million for a program to pay disability and medical benefits to affected individuals and survivor benefits to their families. The program paid temporary and permanent disability benefits as well as partial benefits. The Social Security Board was asked to administer the program because it had expertise in benefit payments. Although the program was relatively small (it employed three physicians and three claims adjudicators), it was significant in that it required the Social Security Board to develop procedures, rating schedules, and detailed criteria for determining eligibility for disability benefits. Most important, the program provided the Social Security Board with its first experience in adjudicating disability claims and provided it with an opportunity to demonstrate competency in disability-related operations. From March 1943 through May 1945, the Social Security Board adjudicated about 1,000 disability claims and assisted in the processing of thousands of claims for medical reimbursement. Since partial benefits were part of the program, the Social Security Board had to develop a rating schedule, and the job was assigned to the agency's Bureau of Research and Statistics. To assist in this endeavor, the bureau convened a panel of representatives from the Veterans Administration, worker's compensation agencies, medical experts from business and academia, and civilian defense officials. any disability that required the individual to be permanently bedridden. Mental impairments were treated somewhat differently than physical impairments. Psychoses were considered totally disabling during hospitalization and for 3 months afterwards. Thereafter, they would be considered partially disabling. Psychoneuroses were compensable for only 3 months (DeWitt 1997, 71). Although the Civilian War Benefits program was different in many respects from what would later become the Social Security Disability Insurance program, there were many similarities. Certain concepts were adopted from the Social Security retirement program (Old-Age and Survivors Insurance—OASI), including a benefit computation based on past earnings and a family maximum. The disability determination was based on medical evidence of functional impairment, used consultative examinations where necessary, and included instructions for dealing with multiple impairments. It also introduced the concept of continuing disability reviews. The report of the 1948 Advisory Council on Social Security made a strong case for extending Social Security to cover total and permanent disability. The report estimated that on any given day about 2 million individuals were unable to work because of impairments that had lasted for at least 6 months, and it argued that the economic hardship imposed by disability was often greater than that created by old age or death. It discussed the restrictions and limitations of private disability insurance that made such insurance unavailable to the majority of U.S. workers. The report also suggested that the cost of a Social Security disability program would not constitute a wholly new expense, since many disabled workers were receiving welfare payments of some type. There should be a 6-month waiting period before benefits were payable, to ensure that the disability was permanent and total. Compensable disabilities should be limited to those that could be objectively determined by a medical examination or tests. To create an incentive for disability beneficiaries to return to work, replacement rates should be limited. There should be no dependents' benefits, and replacement should average 30 percent of the workers' average monthly wage, with a range of 22.5 percent to a maximum of 50 percent. Social Security disability benefits should be suspended for any period during which workers' compensation was payable and, when the worker was eligible for both Social Security disability benefits and another federal disability benefit, only the higher benefit should be payable. Periods of disability should not be counted in computing insured status and the average monthly wage in claims for old-age or survivors' benefits by disabled persons. Rehabilitation services should be provided when it appeared that these services would assist the beneficiary to return to work, and thereby result in a saving to the trust fund from which benefits would be paid. In 1948, Social Security Actuary Robert Myers provided estimates of participation and cost for a potential disability program. He estimated that the number of disability beneficiaries would reach from 300,000 to 800,000 by 2000; that the program would require contributions of 0.1 percent to 0.3 percent of payroll; and that the program would cost from $200 million to $500 million per year. Since the estimated increase in cost inherent in the Council's report recommendations was so small, Myers saw no need to increase contributions to finance the disability program. He cautioned, however, that if the disability program were expanded, his estimates would be meaningless (Advisory Council 1949, 83–84). The 1948 Advisory Council consisted of 18 members, one of whom was M. Albert Linton, the Provident Mutual Life Insurance Company executive who was also on the 1938 Advisory Council and who at that time had expressed strong opposition to the proposal to create a disability program. Linton had not changed his views over the years, and the 1948 report included a memorandum of dissent on the part of two Council members: Linton and Marion B. Folsom, treasurer of the Eastman Kodak Company. As in 1938, the 1948 arguments against Social Security disability were based on the losses suffered by private insurers through disability insurance. The authors of the memorandum of dissent maintained that it was virtually impossible to evaluate total disability when a person is determined to prove that he or she is disabled in order to obtain a guaranteed income from the government. They also claimed that cash disability benefits were a deterrent to rehabilitation and, once on the disability rolls, most people would prefer to remain there. They predicted that the system would break down during a period of high unemployment, just as private disability insurance programs had been overwhelmed during the 1930s. The authors of the memorandum of dissent feared that under a program administered by the federal government, constituents would appeal to their Congressional representatives who, in turn, would put pressure on administrators to be more generous than had originally been intended. They were also concerned about including female workers in the program. The experience of private companies, they claimed, was that women are more inclined to claim ailments that are difficult to disprove. By 1948, private insurance companies no longer offered disability insurance to women except under very restrictive conditions. However, Linton and Folsom seemed to be most bothered by the idea of providing benefits as an earned right, which they felt would create an incentive to resist rehabilitation. They also objected to the creation of a federal bureaucracy to administer the program. Turning over to the federal Government this area of individual care would mean further encroachment of Washington upon state authority, further building up of the federal pay-roll vote and of the potential opportunity to exert Nation-wide political influence on the handling of benefit payments. In his testimony before the House Ways and Means Committee in March 1949, Altmeyer proposed a federal disability insurance program that paid both temporary and permanent benefits. However, the legislation that passed Congress was instead an income maintenance program called Aid to the Permanently and Totally Disabled (APTD). It provided federal grants to the states to administer the program, precisely the type of program that was recommended in the memorandum of dissent that was attached to the 1948 Advisory Council Report. Acknowledging the defeat of the majority recommendation of the 1948 Advisory Council Report, the strategy of disability program supporters changed. They concluded that it was unrealistic to assume that Congress would risk enactment of their desired far-reaching program without some evidence that it could be controlled and decided to adopt a piecemeal approach to implement incrementally elements of the program. One issue of interest to Altmeyer was the potential loss of insured status for old-age and survivor benefits because of disability (Altmeyer 1949, 9). Since entitlement to retirement benefits was dependent on covered employment for a specified length of time, a worker who was forced to leave the workforce due to disability could lose entitlement to retirement benefits. In 1952, Altmeyer responded to these concerns with the idea of a disability "freeze." The freeze would exclude any period of disability from the required period for retirement insurance status and from the computation of the average monthly wage in claims for old-age or survivors' benefits. In Congress, the House of Representatives passed the disability freeze provision. However, the Senate Finance Committee opposed it, and the proposal was brought before a Congressional conference committee. Although the disability freeze appeared to be a modest proposal, it became a contentious issue for reasons not directly related to the proposal itself. Administration of the freeze would require a determination of disability. The American Medical Association (AMA) feared that authorizing physicians employed by the federal government or private physicians designated by SSA to perform physical and mental examinations on applicants would ultimately lead to some form of national health insurance. The AMA maintained that disability should be eliminated through rehabilitative medicine rather than encouraged by paying disability benefits. Thus, the AMA joined the insurance industry and the Chamber of Commerce in bringing pressure on Congress not to adopt the disability freeze provision (Berkowitz 1987, 69). A compromise was reached when a member of the congressional conference committee suggested that the states be assigned the responsibility for making disability decisions. Since physicians would not have any direct contact with the federal government, the AMA was willing to accept this compromise. However, there was another compromise—the Senate agreed to enact it and the House agreed not to implement it. This was accomplished by ending the freeze on June 30, 1953, but not accepting applications before July 1, 1953—in effect, instituting a program and then eliminating it before any applications for service could be accepted. This interesting political compromise enabled both sides to declare victory and to put the matter aside until 1954 (Berkowitz 1987, 72). The issue of Social Security disability insurance pitted organizations that favored it against those who were opposed to it, with each coalition attempting to influence Congress and the President. SSA administrators and organized labor favored a disability insurance program, while private insurance companies, the Chamber of Commerce, and the AMA opposed it. However, when the disability freeze was again proposed, the Eisenhower Administration supported it, and it was included in the 1954 Social Security Amendments. Assistant Secretary of Health, Education, and Welfare Roswell D. Perkins, who was the Administration's point man on this issue, responded to critics in Congress by maintaining that the disability freeze would encourage rehabilitation rather than dependence on cash benefits (Derthick 1979, 303). In many ways the de facto beginning of the disability program can be mapped from the passage of the disability freeze in 1954, even though the disability insurance legislation itself was not passed until 1956. To serve as a guide to the historical milestones of the program, Box 1 presents a time line that begins with the disability freeze and ends with passage of the Ticket to Work and Work Incentives Improvement Act in 1999. The enactment of the disability freeze required SSA to develop procedures for processing freeze applications, which included disability determinations. SSA had previous experience in making disability determinations for the Civilian War Benefits program during World War II. Additionally, Social Security administrators had long anticipated the enactment of a Social Security disability program, and had appointed a Disability Work Team in the late 1940s to begin planning for the processing of large numbers of disability claims (Social Security Administration 1962, 8). This team issued a number of reports in 1949 and 1950, one of which recommended the formation of a Medical Advisory Committee (MAC) to work with the medical profession in designing a disability evaluation process. However, no action was taken on that suggestion until the disability freeze legislation was passed. The original Committee was appointed in February 1955. In forming the 15-member Committee, SSA considered a potential member's type of medical practice and affiliation with groups that demonstrated an interest in the problems of the disabled. The group that was appointed included physicians representing various medical specialties (ophthalmology, psychiatry, and so on) and representatives of hospital administration, private insurance, labor unions and social welfare agencies. The MAC was charged with establishing effective relationships between SSA, medical professionals, and state agencies and with the developing medical guides and standards for evaluating disability. The disability evaluation process used for the Civilian War Benefits program was similar in some respects to the process that was eventually developed for making disability determinations under the disability freeze. Both were based on the fundamental concept of functional incapacity due to a medically determinable impairment. However, the decision process was not well developed. The instructions were sparse and suggested that it would be obvious to the adjudicator whether or not the applicant was totally disabled. "In effect, the adjudicators simply looked to medical evidence; and if in their judgment the disability was total, that was that" (DeWitt 1997, 71). The MAC realized that a more fully developed and objective decision process was required to properly administer the disability freeze. Benefiting from the experience of the Civilian War benefits program, the MAC incorporated changes that addressed several inherent problems in the earlier decision process. First, as Arthur Altmeyer had recommended, there must be economic loss; thus, a person could not be found disabled if he or she was performing substantial gainful activity. Second, a person must have a medically determinable impairment that significantly limits his or her ability to perform basic work activities and is expected to last for at least 12 months or result in death. This determination is made in part on whether the person has an impairment that meets or equals one or more of the impairments included in SSA's Listing of Impairments.7 If the person has a severe impairment and meets the duration requirement, but does not have an impairment that meets or equals the listings, vocational factors (age, education, and work experience) are considered. If it is determined that, considering the person's age, education and work experience, he or she is unable to perform either work done in the past or any work in the national economy, then that person is found to be disabled.8 The last component—the introduction of vocational factors into the disability decision process—was viewed by some as putting "a liberal gloss on the seemingly strict requirement of the law that disability depend on a medically determinable impairment" (see Derthick 1979, 310). The "piecemeal" implementation approach adopted after 1950 led Social Security administrators to focus on incremental implementation of disability provisions rather than advocate for a comprehensive disability insurance initiative. From this strategy emerged a 1955 plan that proposed cash benefits to disabled workers only when aged 50 years and older. Even with this limiting age concession, however, disability cash benefits remained a highly controversial issue and there was strong opposition to providing them to workers of any age. DHEW Assistant Secretary Perkins, who had supported the 1954 disability freeze as a rehabilitation recruitment tool, was opposed to the enactment of cash benefits. She believed in rehabilitation and was not convinced of a link between cash benefits and rehabilitation. Legislation was drafted in the House of Representatives that provided cash disability benefits with the provision that all applicants would be referred for vocational rehabilitation, and it passed easily. All participants recognized that there would be a legislative fight for passage in the Senate. The debate had strong opinions on both sides. On the one hand, the bill faced substantial opposition from the American Medical Association, which was convinced that passage of the legislation would inaugurate a move toward socialized medicine and require physicians to report to government workers (Berkowitz 1987, 69). On the other hand, supporters of the proposed legislation cited several factors in favor of moving to a cash benefit program. First, over 100,000 determinations had been made under the disability freeze, which lent credence to the proposition that SSA could effectively administer a disability program. Second, the Social Security trust funds were solvent and the economy was healthy, suggesting that the nation could afford to provide disability benefits. Finally, the measure enjoyed strong support from a united labor movement. Both sides lobbied hard. The Senate Finance Committee had deleted the disability provisions from the House-passed Social Security bill. During the debate in the Senate, however, these provisions were restored by the close vote of 47 in favor and 45 opposed. A few days later, on August 1, 1956, President Dwight D. Eisenhower signed the bill into law. SSA had a head start in implementing the disability program, since it had been required to develop procedures, as well as an operational capacity, to make disability determinations in order to administer the disability freeze program. However, it had yet to demonstrate that it could administer a disability cash benefit program and keep program costs under control. There was a 6-month waiting period, and the amount of the benefit for an adult beneficiary was equal to "his primary insurance amount as though he became entitled to old-age insurance benefits in the first month of his waiting period. "10 Although the proposed legislation had been contentious, there was no indication of opposition to the amount of benefit. The viewpoint expressed in Altmeyer's 1941 article (page 7)—that a person would not leave a job paying substantial wages to receive Social Security benefits unless he or she was truly disabled—appears to have prevailed. Research findings published in 1951 supported this viewpoint: only about 5 percent of old-age insurance beneficiaries had left their jobs of their own accord and in good health to enjoy their retirement (Stecker 1951). Nevertheless, disability benefits were less generous than old-age benefits in that there was no provision for the wage earner's dependents. The legislation also provided for the establishment of a disability trust fund that would be separate from the old-age and survivors trust fund and from which benefits would be paid to disabled workers. Contributions to the disability trust fund became effective in 1957 at the rate of 0.25 percent each for employer and employee and 0.375 percent for the self-employed (Board of Trustees 1957, 4). The short-range actuarial estimate for the disability trust fund during its first 5 years (1957–1961) of operation indicated that it would amount to between $2.4 billion and $2.7 billion, depending on the economic assumptions used, by the end of that period. Receipts in 1961 were estimated to be between $0.9 billion and $1.0 billion, and disbursements were estimated to be $0.4 billion (Board of Trustees 1957, 2). The long-term intermediate cost estimate was that trust funds would amount to $17.5 billion by the end of fiscal year 2000 (Board of Trustees 1957, 26). These estimates indicate that, on the basis of the conditions that existed in 1957, it was reasonable to assume that the disability trust fund would remain sound at least through the end of the century. The legislative history suggests that political considerations had an impact on the decision to have disability determinations made by state agencies rather than SSA. Nonetheless, the legislation did reflect Congressional belief that the states would be in a better position to facilitate rehabilitation because they administered vocational rehabilitation agencies. The dual responsibility—the states and SSA—for operating the program, however, did pose its own challenges. The most challenging problems that developed in the relationship between SSA and the states were delays in processing time and the failure to rehabilitate more than a small number of applicants (Berkowitz 1987, 81). Although processing time eventually improved with experience, the challenge of rehabilitating applicants for disability benefits proved to be much more difficult than Congress had anticipated. One of the problems was that rehabilitation is much more likely to be successful among younger people, and under the 1956 law, cash benefits were available only to persons aged 50 or older. Additionally, the states were overwhelmed by the number of applicants and complained that SSA made no attempt to screen applicants to eliminate those who were poor candidates for rehabilitation. By June 1958, more than 800,000 persons had been referred to state vocational rehabilitation agencies and about 95,000 were selected for additional consideration. Yet, only about 550 beneficiaries (0.2 percent of the beneficiary population) were successfully rehabilitated (Social Security Administration 1959). In an effort to relieve the pressure on the states, SSA began working with directors of state vocational rehabilitation offices to develop procedures to refer only motivated applicants for services. In 1959, SSA revised its procedures so that applicants who were older than 55, bedridden, institutionalized, or mentally ill with a negative prognosis or who had an impairment that was worsening would not be referred. This innovation improved the efficiency of the process, but the increase in the proportion of beneficiaries being rehabilitated was marginal. In fiscal year 1963, state vocational rehabilitation agencies received 465,000 referrals and accepted 48,800. The number of persons successfully rehabilitated amounted to 5,600 (0.7 percent of the beneficiary population) (Berkowitz 1987, 161–162). This figure increased to 14,500 by 1967, which was 1.2 percent of the beneficiary population (Schmulowitz 1973). Although the period before enactment was characterized by a fierce political battle, once in place the disability program experienced a period of Congressional program expansion. The expected problems predicted by its original opponents—national health insurance and economic losses in the insurance industry—appeared not to materialize. 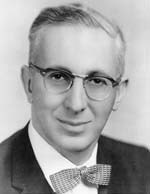 In practice, as long as the SSA's chief actuary at the time (1947–1970), Robert J. Myers, reported that the change was affordable, Congress was willing to enact legislation that expanded the program (Berkowitz 1987, 108). Examples of these program changes include the following. Provided benefits for the dependents, spouses, and children of disabled workers. Provided for 12 months of retroactivity and loosened the insured status requirements. Placed a limit on attorneys' fees in order to protect claimants from contingency agreements that enabled attorneys to collect an unreasonable percentage of past-due benefits (section 332). Restored the offset, albeit to a lesser degree, on workers' compensation and federal disability benefits: this new offset was not dollar-for-dollar, but limited the beneficiary's total compensation to no more than 80 percent of average current earnings (section 304). Changed the description of disability to an impairment "that could be expected to last for a period of 12 months or longer" (instead of an impairment having a "long-continued and indefinite duration") (section 303). Regarding this change, the 1965 Amendments targeted one of the most difficult problems in making determinations of disability: what constituted a "long-continued and indefinite duration." According to Arthur Hess, the first Director of SSA's Bureau of Disability Insurance (and later Deputy Commissioner), an implicit understanding of the definition of disability emerged from the early Congressional hearings, debates, and reports. Underlying the original disability legislation was the expectation that a disability was expected to be of a sufficient duration that it might be characterized as permanent, even though the word "permanent" was not included in the law (Hess 1957). In making the 1965 change, Congress extended the law to immediate benefit entitlement for an additional expected 60,000 disabled workers and their dependents. Clarified the definition of disability by specifying that a person must not only be unable to do his or her previous work but also be unable, considering age, education and experience, to do any work that exists in the national economy, whether or not a vacancy existed or the person would be hired to do the job (Library of Congress 1968, 14). Additional legislation passed in 1972 provided automatic benefit adjustments (indexing) tied to the consumer price index (CPI) to begin in 1975, permitting benefits to increase automatically each January when the CPI rose 3 percent or more from the time of the last benefit increase. Benefit increases, liberalization of program requirements, and changes in the economy resulted in an unanticipated, but significant, increase in program costs. Efforts to bring rising costs under control created further problems for SSA. However, the number of disability beneficiaries in 1980 was almost double what it had been in 1970. Outgoing benefit payments increased by a multiple of five. Given the growth in beneficiaries, after its peak in 1974, the trust fund assets declined to $2.7 billion in 1982 (Social Security Administration 2006b, Tables 4.A2, 4.C1, and 5.D3). Congress became concerned about the financial outlook as early as 1975. A number of factors led to the growth in disability program costs during the first half of the 1970s. One important factor was the high inflationary economy of the times. To preserve the financial viability of beneficiaries, Congress legislated ad hoc benefit increases between 1970 and 1974. These benefit increases ranged between 10 percent and 20 percent annually, with benefit increases occurring in 4 of these 5 years (Chart 1). SOURCE: 1969, 1971, and 1973 Amendments to the Social Security Act. Additionally, the indexing of benefits to the consumer price index was implemented at a point when prices were increasing much faster than wages. This timing negatively influenced the ratio of dollars paid in benefits to dollars collected through payroll taxes. From 1975 through 1981, the average annual growth in the CPI was 8.9 percent, while the increase in hourly wages grew by an average of only 7.7 percent (Council of Economic Advisors 2004, Tables B-47 and B-63). Other changes in the economy, such as slower growth and high unemployment, were also contributing factors. Gross domestic product grew by an average of 4.4 percent from 1960 through 1969 but by only 3.3 percent from 1970 through 1979; unemployment averaged 4.8 percent from 1960 through 1969 but just 6.2 percent from 1970 through 1979 (Council of Economic Advisors 2004, Tables B-4 and B-42). The automatic indexing of benefits by the cost-of-living adjustment (COLA) legislated in 1972 (and implemented in late 1974) also contributed to a dramatic increase in replacement rates. Because of a technical flaw in the automatic adjustment provision related to the use of wage versus price indexing of preretirement earnings, the benefits of the newly eligible were being overly compensated for inflation (Robertson 1978, 21). Consequently, between 1970 and 1980, the median replacement rate rose from less than 50 percent of past earnings to about 70 percent. Replacement rates for low earners rose to more than 90 percent, and the proportion of new beneficiaries with a replacement rate of 80 percent or more rose from about 13 percent to almost 40 percent. Not only were the high replacement rates costly, they created a disincentive to leave the disability program and return to work. A scarcity of administrative resources also contributed to the increase in disability awards and a decline in terminations due to medical recovery. Before 1972, SSA reviewed 70 percent of the state allowances before effectuation of the award. If SSA questioned the determination, the state usually reversed itself. However, SSA did not have the resources to maintain this process and reduced the proportion of allowances it reviewed to 5 percent during the early 1970s. The agency also reduced the percentage of continuing disability reviews from 10 percent of beneficiaries to 5 percent during the same period.21 This reduction contributed to a decline in recoveries from 30 per thousand in 1967 to 15 per thousand in 1976 (Berkowitz 1987, 83–84). Another factor was the increased tendency of denied applicants to appeal the decision. While the number of disability awards made at the initial level increased by about half between 1969 and 1974, the number of awards made at the reconsideration and hearing levels more than doubled (Lando and Krute 1976). The first effort to bring the rising cost of Social Security disability benefits under control was the "decoupling" provision of the 1977 Social Security Amendments. The intent of this provision was to stabilize replacement rates for all OASDI programs by changing the formula for determining the amount of benefits a person would receive. Under the revised formula, the initial benefit would be based on indexing the worker's earnings to changes in average wages so that benefit protection would rise with wages during working years and with the CPI after entitlement. Under the old law, the replacement rate for the average earner would have risen to 68 percent by 2050; under the new law, it would remain stable at 43 percent (Snee and Ross 1978, 13). This provision was only the beginning of a concerted effort to reduce program expenses. Spurred by the rising program costs, members of the Carter Administration, including Department of Health, Education and Welfare22 Secretary Joseph Califano and Social Security Commissioner Stanford G. Ross, believed that the disability program was in disarray and was heading toward bankruptcy. An opposing opinion was held by others, such as former HEW Secretary Wilbur Cohen and former Commissioner Robert Ball, who were convinced that the Social Security trust funds would enjoy a period of surplus during the 1990s and that legislation to address a temporary problem would lessen the adequacy of the program (Berkowitz 1987, 116–118). With much debate on both sides, the 1980 Social Security Amendments were eventually passed by both Houses of Congress and signed into law in June 1980. A new family maximum was designed to ensure that DI beneficiaries and their families would not receive benefits that were significantly higher than the worker's predisability net earnings. It established the maximum family benefit at the lesser of 85 percent of the averaged indexed monthly earnings (AIME)23 or 150 percent of the primary insurance amount (PIA), but no less than 100 percent of the PIA. A number of incentives were created to encourage disabled beneficiaries to try to return to work. These incentives included the deduction of impairment-related work expenses from earnings, a 15-month automatic reentitlement period following impairment-related cessation of substantial gainful activity, extension of the Trial Work Period to disabled widow(er)s, extended Medicare coverage, continuation of vocational rehabilitation services after medical recovery for persons in approved vocational rehabilitation programs, and waiver of the 24-month waiting period for Medicare for persons who became reentitled to DI benefits. Performance standards were established for the state Disability Determination Services25 that emphasized performance criteria, fiscal control procedures, and other standards designed to ensure equity and uniformity in disability determinations. Periodic reviews (at least once every 3 years) were required of all beneficiaries whose disabilities were not permanent to address concerns that some beneficiaries who had recovered from their disabilities were continuing to receive benefits. The review of cases in which the beneficiary's impairment was deemed permanent was to be conducted at intervals considered appropriate by the Secretary. The introduction of new evidence was prohibited after a decision was made at the hearings level. The purpose of this provision was to limit the "floating application" process, whereby the claimant could continue to introduce new evidence while the appealed claim was being reviewed. The principal goal of persons who crafted the 1980 Amendments was to curb the growth in program costs. They considered the cap on family benefits and the change in the way benefits were computed to be the most important provisions of the legislation. It was, however, another provision that created a political clamor: the requirement that SSA conduct a continuing disability review (CDR) at least every 3 years for beneficiaries whose disability may not be permanent. Before the 1980 Amendments, it had been SSA's policy to review cases in which medical improvement was expected, the beneficiary's earnings record showed work activity, or the beneficiary reported medical improvement or work activity. Yet the proportion of cases reviewed in the 1970s was less than 4 percent per year, and the agency itself recognized that this effort was inadequate. In 1980, SSA's Office of Assessment examined the question of how many persons receiving DI benefits should have been removed from the rolls. It concluded that about 20 percent of beneficiaries no longer met the medical standard of eligibility and that the agency could save $2 billion per year by terminating their benefits. The General Accounting Office (GAO—known today as the Government Accountability Office) incorporated these data into a report being prepared on SSA's administration of the disability program. The GAO report, an early version of which was released to the newly elected Reagan Administration in December 1980, recommended that SSA focus its resources on the disability program and concentrate on cases approved in 1974 and 1975 (Berkowitz 1987, 124–125). That same month, the Office of Management and Budget (OMB) reported that as many as 584,000 beneficiaries on the rolls were no longer disabled (Derthick 1990, 35). Based on the results of the GAO and OMB reports, the Reagan Administration projected savings from conducting CDRs of $3.45 billion over 6 years (1981–86) (Derthick 1990, 36). In response, the continuing disability review program was augmented to initiate reviews earlier and to review a greater number of beneficiaries. Within months after the reviews were initiated, stories appeared in the press describing people who appeared to be severely disabled having their benefits terminated. Condemnations of the review process were seen in the editorial sections of newspapers across the country. In one instance, President Reagan personally intervened to restore the benefits of a Vietnam War veteran whom he had earlier presented with the Congressional Medal of Honor (Berkowitz 1987, 129). In retrospect, many of the stories emphasized the emotional plight of denied beneficiaries. Not surprisingly, many stories were not able to decipher the complexities of the disability program and the strict standards for determining disability that had been mandated by Congress. Nevertheless, the reported cases of apparently disabled individuals being removed from the disability rolls had a very damaging effect on the public perception of SSA's administration of the disability program (Berkowitz 1987, 130). As the following sections document, the implementation of the Congressionally mandated continuing disability reviews in the early 1980s constituted a traumatic period both for the agency and for its beneficiaries. The reaction to the 1980 Amendments was so intense that Congress eventually reversed some of the provisions of that legislation. However, efforts to streamline the program and improve public service, while keeping program expenditures under control, have continued since that time. It was the responsibility of the state Disability Determination Services to conduct the continuing disability reviews. With the negative stories in the press, many state officials felt uncomfortable about the position in which they had been placed, in part because of the excessive workload. Disability Determination Services were accustomed to reviewing 21,000–30,000 cases per quarter; now they were expected to conduct 100,000–150,000 reviews per quarter. But there were other reasons as well. The states regarded the reviews as repeating work they had already done, and there were allegations that SSA had created a quota system by establishing a target number of beneficiaries who should be removed.28 The states were also concerned about the financial consequences, since many of the DI and SSI beneficiaries taken off the disability rolls would fall back on General Assistance, a state-funded program. A study conducted in Maryland found that one-third of the persons removed from the disability rolls in 1984 went on General Assistance, at a cost of $2.3 million to the state. In 1983, Massachusetts and New York refused to continue conducting the reviews. The National Governors Association passed a resolution in support of a proposal pending in Congress that would force SSA to use a medical improvement standard in conducting the reviews. Many other governors then suspended the reviews in their states (Berkowitz 1987, 142). To the extent that beneficiaries removed from the disability rolls had been previously awarded benefits at the hearings appeal level, the Administrative Law Judges considered the reviews to be a rebuke of their decisionmaking. The Association of Administrative Law Judges filed a suit against SSA that alleged harassment of judges with high reversal rates.29 The Administrative Law Judges were also overwhelmed with work: requests for hearings reached a new high of 281,737 in 1981, and a backlog of 128,764 cases was expected by the end of that year. There were numerous court decisions that challenged SSA's disability determination policies in the early 1980s. In Finnegan v. Mathews (1981), the Ninth Circuit Court of Appeals held that an individual's disability benefits could not be terminated on the basis of medical factors absent a finding of clear error in the previous determination of disability or evidence of medical improvement sufficient to establish that the individual was no longer disabled (Derthick 1990, 139). The DDSs had been conducting reviews as if each was a new case and basing their determinations on current evidence alone. Since the entire case was not considered, a beneficiary could be found not disabled even though his or her condition had not improved since the initial allowance (Derthick 1990, 43). There was also a good deal of concern on the part of Members of Congress because of the stories in the press and the complaints from their constituents. In the spring of 1982, Senators William Cohen of Maine and Carl Levin of Michigan, both of whom were members of the Senate Subcommittee on Oversight of the Governmental Affairs Committee, held a hearing on the disability reviews. In total, Congressional committees held 27 hearings on this issue at different locations across the country (Berkowitz 1987, 133). A general feeling emerged from these hearings that Congress would have to initiate new disability legislation. acceleration of a top-to-bottom review of standards, policies, and procedures affecting the evaluation of disability. By the fall of 1984, SSA had reviewed 1.2 million beneficiaries and notified 490,000 of them that their benefits would be terminated. However, about 200,000 beneficiaries whose benefits were terminated succeeded in getting them restored through appeal. Beneficiaries with mental impairments were particularly successful in having their benefit terminations reversed. Administrative Law Judges reversed 91 percent of the cessations on mental impairment cases that were appealed. A number of factors fueled the quandary over continuing disability reviews. First, beneficiaries whose benefit applications were allowed during the appeals process were also more likely to be removed following continuing disability reviews. Since the Administrative Law Judges at that time tended to interpret the standards for determining disability differently than did the Disability Determination Services, beneficiaries were reevaluated using a more stringent interpretation of the standards than those used in the initial award.32 Second, each case was treated as a new determination. However, because the medical standards had been tightened since many of the individuals being reviewed had been awarded benefits, they were removed from the rolls under the new definitions even though their medical condition itself had not changed. Third, reviews were targeted toward groups expected to have the highest levels of ineligibility: younger beneficiaries and those awarded benefits during the 1974–1975 period when Disability Determination Services were overwhelmed with work because of implementation of the SSI program and, thus, more likely to make inappropriate decisions. Congressional Representative Jake Pickle, Chairman of the Subcommittee on Social Security of the Committee on Ways and Means, had been one of the primary architects of the 1980 Amendments. 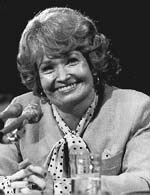 However, in the face of the problems that emerged by the fall of 1983, Pickle presented another bill that addressed the most important issue: the medical improvement standard. Under this bill, benefits would not be discontinued if there were no medical improvement, provided the beneficiary did not return to work above the substantial gainful activity level (Berkowitz 1987, 144–146). Members of the Senate Finance Committee were divided on this matter because of the potential cost and the effect it would have on disability beneficiaries. After much debate, the issue was resolved in a conference committee in favor of the medical improvement standard (Berkowitz 1987, 147). Disability benefits could not be discontinued unless there had been medical improvement; the beneficiary was capable of performing substantial gainful activity because of medical/vocational therapy or technology; or the initial determination was in error. A claimant's statement regarding pain or other symptoms would not constitute conclusive evidence of disability; medically accepted findings of a medical condition were required. The Secretary was required to appoint a commission to conduct a study on the evaluation of pain in determining whether an individual was incapable of performing substantial gainful activity. The Secretary was required to establish uniform standards for determining disability to be used at all levels of adjudication. The Secretary was required to promulgate final regulations establishing standards to determine the frequency of continuing disability reviews. The number of awards to disabled workers, as well as the number of disability beneficiaries, had declined during the period 1980–1985. However, following implementation of the 1984 Amendments, the number of awards and beneficiaries gradually began to increase. During the period 1986–1990, the number of new awards was similar to what it had been before 1970. Continuing disability reviews resumed on a gradual basis and growth in the number of disability beneficiaries also returned to pre-1970s levels (Social Security Administration 2006b, Table 6.A1). One significant pattern that emerged following the 1984 Amendments involved beneficiaries with mental impairments. Changes in the medical listings had the effect of increasing this category of disability beneficiaries. The revised listings for mental impairments reduced the weight given to medical factors and put a greater weight on functional capacities, such as the applicant's ability to perform activities of daily living. They also required that evidence provided by the applicant's health care provider be considered first, before a consultative examination. Between 1985 and 1986, the proportion of awards for mental impairments increased from 18 percent to 30 percent of all awards, and has remained at approximately the same level ever since. In 2003, 28 percent of disability awards were made to claimants with mental impairments (Ferron 1995, 22; Social Security Administration 2006a, Table 33). The early 1990s brought a period of rapid growth in the disability program. During the period 1991–1995, the number of awards to disabled workers grew by more than 40 percent (from 2.1 million to 3.1 million) over the previous 5-year period. Total benefit payments in 1995 were about 60 percent higher than they had been in 1990. The Trustees of the OASDI trust fund were so concerned that in 1992 they estimated that the DI portion of the trust fund would be exhausted by 1995 (Board of Trustees 1992, 4). The temporary solution was to amend the statutory formula for allocating FICA tax revenues to the OASI and DI trust funds. Beyond this, the Trustees recommended that SSA study the trends that affect program growth in an effort to find a more permanent solution to the problem. Analysis of trends focused on external economic and demographic factors, as well as changes in the disability program, particularly those mandated by the 1984 Amendments. For example, it was suggested that in periods of economic downturn, some persons with medical problems lose their jobs, find it difficult to find other employment, and thus file for disability as an alternative source of income. Similarly, program growth was linked to changes in the structure of the economy, such as a reduction in the number of manufacturing jobs available, an increase in low-wage service jobs, and the aging of the baby-boom generation. Additionally, changes in state programs, particularly cutbacks in General Assistance, also would have effects on the number of applications and awards (Stapleton and others 1998, 32). In contrast to explanations based on economic trends, some portion of the growth of the disability program was due to the expansive provisions in the 1984 Amendments. These included the new mental impairment listings, consideration given to pain and other symptoms in disability determinations, and award of benefits for multiple nonsevere impairments. The decline in terminations for medical improvement, due primarily to the 1984 change in the medical improvement standard, also contributed to the program's growth. This decline was the result of a moratorium on continuing disability reviews during the mid-1980s and a sharp reduction in those continuing disability reviews in the early 1990s due to the pressure of other workloads (House Committee on Ways and Means 2000, 84). Outreach efforts, litigation, and court decisions were additional contributing factors (Stapleton and others 1998, 65–67). Nevertheless, growth in the number of disability applications began to slow in 1994, and the number of applications actually declined in 1995. Concern over rising caseloads began to diminish, but it has never disappeared. The number of disabled workers as a percentage of insured workers rose from 2.5 percent in 1990 to 3.3 percent in 1995. Although recent growth has been much less dramatic, this proportion had increased to 3.8 percent by 2003. Opponents of the Social Security Disability Insurance program were particularly concerned about the ability of the program to weather economic downturns. Although a number of factors clearly influence the volume of applications that are filed, it is also clear that application rates vary with unemployment rates. Chart 2 compares the number of applications with the rate of unemployment for the 1970–2003 period. The influence of unemployment can be seen most clearly between 1986 and 2003. In 6 of the 18 years from that period, the rate of unemployment increased, and in each of those years the number of applications increased. The average rate of increase for those 6 years was 11.6 percent. The chart suggests a positive relationship between annual unemployment rates and disability applications. SOURCE: Annual Statistical Supplement to the Social Security Bulletin, 2005, Tables 2.A30, 4.C1, and 6.C7; Bureau of Labor Statistics, unemployment rate, available at http://www.bls.gov/cps/prev_yrs.htm. There is one major exception to that relationship. During the period 1981–1982, applications declined even though unemployment was rising. This decline was most likely due to policies that tightened program administration and the negative publicity surrounding the disability program. Once that situation was resolved, it appears that unemployment once again became the dominant factor influencing the number of applications. While some analysts of the disability program were correct in their concern about the impact of unemployment on program solvency, their prediction that the system could break down during a period of high unemployment proved inaccurate. The increasing number of disability claims and hearing requests, combined with agency downsizing, were creating significant problems in the administration of the disability program. By 1993, disability program administration accounted for over half of the agency's administrative expenses. Despite this, the time it took to process an initial claim had increased from 80 days in 1988 to 100 days in 1993, and the processing time for a hearing had increased from 212 days to 265 days over the same period (Social Security Administration 1994). In 1993, SSA created the Disability Process Reengineering Team (DPRT), the function of which was to rethink and redesign the agency's disability programs in order to achieve dramatic improvements in critical measures of performance. 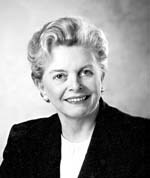 In September 1994, Social Security Commissioner Shirley Chater approved the Plan for a New Disability Claim Process, which was prepared by the DPRT. The goals of the plan were to make the process more "user friendly" for claimants, to make decisions as quickly as possible, to make the right decision the first time, and to make the process more efficient. Creation of the Disability Claim Manager (DCM) position. The DCM was to be a front-line employee knowledgeable about the medical and nonmedical aspects of entitlement who would be responsible for the initial determination on the claim. Creation of the Adjudication Officer (AO) position. The Adjudication Officer would determine whether unresolved issues remained and whether any additional evidence was necessary before an Administrative Law Judge hearing or whether to award benefits if the record contained sufficient evidence to support that decision. Elimination of the reconsideration. The reconsideration step in the appeal process would be eliminated. However, the Disability Claim Manager was to contact the claimant before denying the claim, explain the reason for the decision, and offer the claimant the opportunity to submit additional evidence as well as an in-person interview before the claim was formally denied. Revised Disability Decision Methodology. The new approach would focus decisionmaking on the functional consequences of the claimant's medically determinable impairments rather than on medical diagnosis. Revised Quality Assurance (QA) System. The new QA system was to include comprehensive employee education, an in-line review system that would provide employees with continuous feedback, and an end-of-line review that would focus on whether a correct decision had been made at the earliest point in the process. The objective of reengineering is to fundamentally rethink and radically redesign a business process from start to finish so that the process will become much more efficient and significantly improve customer service. It had been used successfully by private industry, and SSA anticipated that it could adopt this concept to streamline the disability process by 2000. GAO commended SSA for its efforts but, by 1996, had become concerned that the agency's redesign plan was overly ambitious and that its approach would delay implementation and limit the prospects for success. Increasing the length of the project, GAO felt, would heighten the risk of disruption from turnover of key executives. GAO (1996) recommended that SSA focus its efforts on fewer initiatives and emphasize those that would have the greatest impact on the accomplishment of project goals. The original redesign plan included 83 initiatives that were to be accomplished within 6 years, 38 of which were to be completed within the first 2 years. By 1996, SSA acknowledged that the challenges of the redesign plan were causing implementation problems. In response, SSA issued a scaled-back redesign plan in February 1997 that focused on testing and implementation of 8 key initiatives (5 near-term and 3 long-term) within 9 years instead of 6 years (General Accounting Office 1999). Additionally, SSA had assumed that it could move the focus of its disability determination process from medical diagnosis to functional capacity. The intent was to use the expertise of medical and advisory communities, as well as outside experts, to develop standardized instruments or protocols to measure functional ability. Unfortunately, SSA learned that few such instruments existed and that the knowledge and ability to develop additional instruments was lacking. In responding to these difficulties, SSA decided on a strategy to maximize the lessons of its redesign efforts. The agency selected the most successful redesign elements and linked them to an improved process of case development. Ten states implemented a test of this prototype system, which included four major elements: change in the roles of the disability examiner and medical consultant to maximize effectiveness; improvement in initial level documentation to make decisions more consistent; provision for a claimant conference before a less than fully favorable decision; and elimination of the reconsideration step to streamline the process. When Congress enacted the disability program in 1956, it intended that an effort would be made to rehabilitate as many disabled beneficiaries as possible so that they could return to work. As part of that effort, Congress has enacted a number of work incentive provisions over the years. The first work incentive provision, the Trial Work Period, was enacted in 1960. It enabled a beneficiary to work for 9 months, during which entitlement to benefits and the amount of the benefit payment would not be affected, as long as his or her impairment remained severe under program standards. If the beneficiary continued to work above the substantial gainful activity level following completion of the Trial Work Period, benefits would be terminated. Other work incentive provisions were established in the 1980 Amendments. These provisions included the deduction of impairment-related work expenses, extension of the Trial Work Period to disabled adult child beneficiaries and disabled widow(er)s, extended Medicare coverage, waiver of the 24-month waiting period for persons who became reentitled to DI benefits, and the extended period of eligibility, a 15-month automatic entitlement period following an unsuccessful work attempt. The Omnibus Reconciliation Act of 1987 extended that period to 36 months for persons who became entitled after 1987. The Omnibus Reconciliation Act of 1989 provided individuals who continued to be disabled but who had worked above the substantial gainful activity level and were therefore no longer entitled to disability benefits, with the opportunity to "buy in" to Medicare after the expiration of extended Medicare benefits. Analysis of the effects of these work incentives yielded disappointing results. A 1992 study of a cohort of individuals entitled in 1980–1981 found that about 10 percent performed some work over a period of approximately 10 years, but less than 3 percent of the cohort had their benefits terminated because of work above the substantial gainful activity and almost one-third of those terminated had returned to benefit status by 1990 (Muller 1992). Additional research revealed that over 80 percent of disability beneficiaries were unaware of SSA's work incentives and, of those who were aware of them, few were influenced by them. Vocational rehabilitation seemed to have a positive effect on work resumption, but only 2 percent of beneficiaries received such services (Hennessey and Muller 1994; 1995). Comprehensive Promotion of Reemployment: "Ticket to Work"
Beginning in 2002, eligible disability beneficiaries began receiving a "ticket" they could use to obtain vocational rehabilitation, employment, or other support services from an approved employment network or state vocational rehabilitation agency of their choice (section 101). Service providers would be reimbursed for success, receiving a portion of the benefit that would have been payable to the beneficiary. The law expanded Medicare coverage to people who work and permitted states to offer a buy-in for Medicaid coverage for working-age persons with disabilities (sections 201–202). Expedited reinstatement of benefits was established to allow persons whose benefits had been terminated as a result of work activity to request reinstatement without filing a new application (section 112). Effective January 2001, beneficiaries who were using a ticket would not be subject to medical continuing disability reviews. Evidence of work would not be used to demonstrate medical improvement (section 111). The law provided the Commissioner with DI program demonstration authority for 5 years and directed SSA to conduct several demonstration projects, including one that would test reducing DI benefits by $1 for each $2 that a beneficiary earns over a certain amount (section 302). There were striking differences in allowance and denial rates over time—among state agencies and between levels of adjudication. As long as such variations remained unexplained, the report stated, the integrity and the fairness of the disability programs would remain in question. Changes in disability policy over time, many of which were the result of court decisions, had made disability decisionmaking more complex and subjective. The report questioned whether current disability decisions reflected the intent of Congress. The growth in disability claims and appeals had placed enormous stress on field offices, state agencies, and Administrative Law Judges. Additionally, there were dramatic differences in qualifications required of disability decisionmakers from one state to another. These factors led the Board to question the ability of the existing administrative structure to meet the challenge posed by increasing workloads. Many people believed that SSA's definition of disability was inconsistent with the Americans with Disabilities Act and that more could be done to encourage the disabled either to remain in the workforce or to return to work. The report expressed the hope that the Ticket to Work legislation would make SSA's disability policies more coherent. The report included numerous recommendations for reform of the disability programs. To address the issue of state variations in allowance rates, it recommended that SSA strengthen the federal/state arrangement by revising regulations to include guidelines for educational achievement of staff, training, quality assurance procedures, and other areas that affect the quality of disability decisions. The report recognized that federalization of state agency responsibilities was not currently feasible but stated that the issue should be examined. Included in the report were a number of recommendations for reform of the disability hearings process. First, it urged SSA to change its relationship with the Administrative Law Judges from one of confrontation to one of cooperation. It also suggested that SSA and the Administrative Law Judges work together to develop procedures that would ensure timely processing and consistent decisionmaking while preserving the decisional independence of the Administrative Law Judges. Additionally, it presented some ideas for procedural changes, such as including an agency representative in the hearing and closing the record after the Administrative Law Judge's decision. Leaving the record open meant that the case could change at each level of appeal, requiring a de novo decision based on a different record. The report did not make any specific recommendations with respect to other levels of the appeals process, but it discussed a demonstration project conducted by SSA in which the Appeals Council review of denials by Administrative Law Judges was eliminated. It suggested that the agency carefully study the function of the Appeals Council and consider changing the current provisions for judicial review. One option that it mentioned was a Social Security Court that would provide greater uniformity in case law across the country. Another suggestion involved the establishment of a U.S. Court of Appeals for the Social Security Circuit. Such a court could provide appeal to a single court, thereby eliminating the differing case law that comes out of the various Circuit Courts of Appeal. Finally, the report noted that the Ticket to Work legislation was focused on persons who were currently receiving benefits rather than on those applying for benefits. It suggested that comprehensive research be conducted to improve incentives for rehabilitation early in the period of disability. Some form of short-term disability benefit could be provided, combined with rehabilitation and employment services. This approach, the report stated, could reduce the incidence of permanent disability. This historical retrospective summarizes the origins of the current Social Security Disability Insurance program. The discussion concludes in 2001 with the findings of a Social Security Advisory Board report on SSA's disability programs. 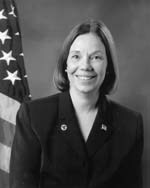 In that same year, Jo Anne Barnhart, who was a member of the Advisory Board, was confirmed as the Commissioner of SSA and introduced a series of initiatives to address many of the concerns expressed in that report. Her next steps in the evolution of the disability program are described in this issue of the Social Security Bulletin in a reprint of her June 15, 2006, testimony before the Subcommittee on Social Security of the House Committee on Ways and Means ("The Social Security Administration's Disability Service Improvement Process") and an article on "Addressing the Challenges Facing SSA's Disability Programs." 1. The Progressive Era was an era of reform that lasted from the 1890s through the 1920s. Its goals were social justice, general equality, and public safety. 2. The Social Security Board became the Social Security Administration in 1946. A history of the agency affiliations of the current Social Security Administration is found in Appendix A. 4. Adverse selection describes a situation in which the people who take out insurance (for example, people with serious health problems) are more likely to file a claim than the population of people the insurer used to set the rates (for example, the general population). Moral hazard is the risk that one party to a contract will change his or her behavior to the detriment of the other party once the contract has been concluded. In this context, it refers to the greater tendency of a person to think he is too disabled to work once he has disability insurance. 5. Even before the passage of the Social Security Act, the independent Commonwealth Fund was documenting poor administration in the workers' compensation programs. Social Security planners struggled with assessing whether problems in those programs were due to the way in which they were organized or were inherent in the administration of a disability program. On the newly implemented Social Security Board, I.S. Falk did not believe that the problems were inevitable for Social Security. Instead, he believed that workers' compensation had to make a unique and difficult distinction between impairments that were job related and those that were the result of factors outside the workplace. Since a Social Security disability program would not have to make such distinctions, the Social Security program would be easier to administer. 6. Social Security Amendments of 1954 (P.L. 761), pp. 28–30. 7. The Listing of Impairments describes, for each major body system, impairments that are considered severe enough to prevent a person from doing any gainful activity. 8. Subcommittee on the Administration of Social Security Laws for the Use of the Committee on Ways and Means, Disability Insurance Fact Book (1959), p. 20; and Code of Federal Regulations, sections 404.1509 and 404.1520. 9. The concept of "substantial gainful activity" (SGA) continues as a concept in the disability program today. To be eligible for disability benefits, a person must be unable to engage in SGA. A person who is earning more than a certain monthly amount (net of impairment-related work expenses) is ordinarily considered to be engaging in SGA. The Social Security Act specifies a higher SGA amount for statutorily blind individuals; federal regulations specify a lower SGA amount for nonblind individuals. Both SGA amounts increase with increases in the national average wage index. 10. Social Security Amendments of 1956 (P.L. 880), section 223(a)(2). The "primary insurance amount" (PIA) is the sum of three separate percentages of portions of average indexed monthly earnings. The portions depend on the year in which a worker attains age 62, becomes disabled before age 62, or dies before attaining age 62. For current year 2006 these portions are: (a) 90 percent of the first $656 of his/her average indexed monthly earnings, plus (b) 32 percent of his/her average indexed monthly earnings over $656 and through $3,955, plus (c) 15 percent of his/her average indexed monthly earnings over $3,955. 11. Amendments to Title II of the Social Security Act (1956), p. 11. 12. The House and committee approved bill stated that the "committee believes that the disability benefits payable under the national social security system should be looked upon as providing the basic protection against loss of income due to disabling illness, and we have concluded that it is undesirable, and incompatible with the purposes of the program, to reduce these benefits on account of disability benefits that are payable under other programs." Social Security Amendments of 1958 (House approved bill reported to the Senate), p. 5. 13. Congress had come to the conclusion that the restriction was arbitrary and had no administrative justification. 14. The Trial Work Period provided disability beneficiaries with a 9-month period during which the beneficiary could attempt to reenter the workforce without the fear of losing benefits. If a beneficiary was engaging in substantial gainful activity after completion of the Trial Work Period the benefits would then be terminated. 15. As an additional work incentive, Congress intended this provision to provide a beneficiary who returned to work with the security of knowing that if his condition worsened, he could become reentitled without delay. 16. This provision targeted widows and widowers who were in need due to a combination of disability and the death of a spouse upon whom the applicant was financially dependent. The definition of disability, however, was more restrictive in this case: to be eligible, an applicant was required to have an impairment so severe that it precluded any gainful activity whatsoever. 17. The disabled child could be reentitled if he again became disabled within 7 years of a prior benefit termination. The latter provision was included as a work incentive. 18. Congress was concerned about the cost of this Medicare extension provision and decided to proceed on a conservative basis by including a waiting period. Congress also intended the waiting period to minimize any overlap with private health insurance and avoid administrative problems in cases where benefits were awarded some time after the date of entitlement. See Report of the Committee on Ways and Means on H.R. 1, May 25, 1971, p. 67. 19. The SSI program replaced former federal grants to the states for providing assistance to the needy aged, blind and disabled with a federal minimum income guarantee. 20. Additional information on disability insurance program growth can be found in the SSA publications Trends in the Social Security and Supplemental Security Income Disability Programs (2006c) and the Annual Statistical Report on the Social Security Disability Insurance Program, 2004 (2006a). 21. A description of the continuing disability review process and the procedures for appealing claim denials can be found in a companion article in this issue of the Social Security Bulletin, "A Primer: Social Security Act Programs to Assist the Disabled." 22. At this time, the Social Security Administration was part of the Department of Health, Education, and Welfare. A history of the agency affiliations of the current Social Security Administration is found in Appendix A. 23. Social Security benefits are typically computed using "average indexed monthly earnings" (AIME). To compute an insured worker's benefit, first each year's earnings are adjusted or "indexed" to reflect the change in general wage levels that occurred during the worker's years of employment. Such indexation ensures that a worker's future benefits reflect the general rise in the standard of living that occurred during his or her working lifetime. A formula is applied to the AIME to compute the primary insurance amount. The PIA is the basis for the benefits that are paid to an individual. See note 10 for additional information regarding the PIA calculation. 24. Social Security benefits are based on earnings in the "computation years" used in the benefit formula. Computation years are those with the highest earnings. Since most workers have some years of low earnings, or no earnings whatsoever, the more years that can be "dropped out" of the computation years, the higher the average earnings used in the computation are likely to be. Since a younger worker is likely to have fewer years of low earnings at the onset of disability, the fewer the years he can "drop out" of what otherwise would have been included in his "computation years." The purpose of this change was to make benefits more equitable. See the Online Social Security Handbook, sections 703–705, available at http://www.socialsecurity.gov/OP_Home/handbook/ssa-hbk.htm. 25. Under an agreement with SSA, each state makes disability determinations for the Social Security Disability Insurance program. The state agencies—Disability Determination Services—also conduct continuing disability reviews and handle requests for reconsideration of their determinations. 26. Such reviews are conducted prior to the issuance of payments. 27. A hearing before an Administrative Law Judge in SSA's Office of Disability Adjudication and Review is the claimant's second level of appeal for review of a disputed determination for disability benefits as well as for several other types of program benefits. 28. In testimony before Congress, Social Security Commissioner John Svahn denied the charge of setting quotas, and no evidence of quotas was ever presented. 29. This lawsuit was based on the argument that SSA performance goals for the Associate Commissioner of Hearings and Appeals stated as a reversal rate for ALJs would interfere with the ALJs' ability to make independent de novo decisions, in accordance with the Administrative Procedure Act. The Association of ALJs eventually won this suit. 30. The Social Security Administration was part of the Department of Health and Human Services at this time. A history of the agency affiliations of the current Social Security Administration is found in Appendix A. 31. SSA developed an acquiescence policy in 1985 to conform SSA policy to the holding of a circuit court within its circuit and ultimately published regulations on this issue in 1990. 32. Administrative Law Judges handle requests for hearing on disability applications that have been disallowed by the DDS at the initial and reconsideration levels. 33. Before the 1984 Amendments, a claimant could not be found disabled unless he or she had at least one severe impairment. This provision made it possible for an individual with two or more nonsevere impairments to be found disabled. How to deal with multiple impairments was a long-standing policy issue, and SSA had previously operated under a multiple impairments policy, but that policy had been dropped by 1980. 34. The final regulations were published in the Federal Register in August 1985 (50 FR 35065, August 28, 1985). 35. A temporary 1-year provision had been included in the 1983 Amendments. 36. The Dictionary of Occupations Titles, issued by the Department of Labor, has long been used by SSA to determine whether a disability applicant has the capacity to work. However, the Department of Labor stopped updating it several years ago. Abbott, Grace. 1941. From Relief to Social Security: The Development of the New Public Welfare Service. Chicago: University of Chicago Press. Advisory Council on Social Security. 1938. Final Report of the Advisory Council on Social Security. Washington, DC (December 10). ———. 1949. The Reports of the Advisory Council on Social Security to the Senate Committee on Finance. Washington, DC. Altmeyer, Arthur J. 1941. "Social Insurance for Permanently Disabled Workers." Social Security Bulletin 4(3): 3–10. Berkowitz, Edward D. 1987. Disabled Policy: America's Programs for the Handicapped. New York: Cambridge University Press. Board of Trustees of the Federal Old-Age and Survivors Insurance and Disability Insurance Trust Funds. 1957. Letter. April 30. ———. 1992. 1992 Annual Report of the Board of Trustees of the Federal Old-Age and Survivors Insurance and Disability Insurance Trust Funds. Washington, DC. Collins, Katherine P., and Anne Erfle. 1985. "Social Security Disability Reform Act of 1984: Legislative History and Summary of Provisions." Social Security Bulletin 48(4): 5–11. Council of Economic Advisors. 2004. Economic Report of the President. Washington, DC. Derthick, Martha. 1979. Policymaking for Social Security. Washington, DC: Brookings Institution. ———. 1990. Agency Under Stress: The Social Security Administration in American Government. Washington, DC: Brookings Institution. DeWitt, Larry. 1997. "The Civilian War Benefits Program: SSA's First Disability Program." Social Security Bulletin 60(2): 68–76. Ferron, Don T. 1995. "Diagnostic Trends of Disabled Social Security Beneficiaries, 1986–93." Social Security Bulletin 58(3): 15–21. General Accounting Office. 1996. SSA Disability Reengineering: Project Magnitude and Complexity Impede Implementation. T-HEHS-96-211. Washington, DC: GAO (September 12). ———. 1999. SSA Disability Redesign: Actions Needed to Enhance Future Progress. HEHS-99-25. Washington, DC: GAO (March 12). Hennessey, John C., and L. Scott Muller. 1994. "Work Efforts of Disabled-Worker Beneficiaries: Preliminary Findings from the New Beneficiary Followup Survey." Social Security Bulletin 57(3): 42–51. ———. 1995. "The Effect of Vocational Rehabilitation and Work Incentives on Helping the Disabled-Worker Beneficiary Back to Work." Social Security Bulletin 58(1): 15–28. Hess, Arthur E. 1957. "Old-Age, Survivors, and Disability Insurance: Early Problems and Operations of the Disability Provisions." Social Security Bulletin 20(12): 11–21. House Committee on Ways and Means. 1971. Report of the Committee on Ways and Means on H.R. 1. Washington, DC (May 25). ———. 2000. 2000 Green Book. Washington, DC. Lando, Mordechai E., and Aaron Krute. 1976. "Disability Insurance: Program Issues and Research." Social Security Bulletin 39(10): 3–17. Library of Congress. 1968. Brief Summary of Major Provisions of the Social Security Amendments of 1967 (P.L. 90-248) and Detailed Comparison with Prior Law. Washington, DC. Robertson, A. Haleworth. 1978. "Financial Status of Social Security Program After the Social Security Amendments of 1977." Social Security Bulletin 41(3): 21–30. Schlesinger, Arthur M. Jr. 1960. The Age of Roosevelt: The Politics of Upheaval. Boston: Houghton Mifflin Co.
Schmulowitz, Jack. 1973. "Recovery and Benefit Termination: Experience of Disabled-Worker Beneficiaries." Social Security Bulletin 36(6): 3–15. Snee, John, and Mary Ross. 1978. "Social Security Amendments of 1977: Legislative History and Summary of Provisions." Social Security Bulletin 41(3): 3–20. Social Security Administration. 1962. "Meet MAC." Oasis (January). Baltimore, MD: SSA. Social Security Administration. Bureau of Old-Age and Survivors Insurance. 1959. Statistics and Summary of Disability Operating Experience. Baltimore, MD (June 29). Social Security Administration. Disability Process Reengineering Team. 1994. "Disability Process Redesign: The Proposal from the SSA Disability Process Reengineering Team." Social Security Bulletin 57(2): 51–55. Social Security Administration. Office of Legislative and Regulatory Policy. Office of Policy. 1981. "Social Security Disability Amendments of 1980: Legislative History and Summary of Provisions." Social Security Bulletin 44(4): 14–31. Social Security Administration. Office of Policy. Office of Research, Evaluation, and Statistics. 2006a. Annual Statistical Report on the Social Security Disability Insurance Program, 2004. Washington, DC: SSA. ———. 2006b. Annual Statistical Supplement to the Social Security Bulletin, 2005. Washington, DC: SSA. ———. 2006c. Trends in the Social Security and Supplemental Security Income Disability Programs. Washington, DC: SSA. Social Security Advisory Board. 2001. Charting the Future of Social Security's Disability Programs: The Need for Fundamental Change. Washington, DC: SSAB. Social Security Board. 1944. "Social Security During and After the War: Recommendations of the Board's Ninth Annual Report." Social Security Bulletin 7(12): 2–3. ———. 1945. "Facing Forward to Peace: Recommendations of the Social Security Board in Its Tenth Annual Report." Social Security Bulletin 8(12): 3. Soule, Charles E. 1984. Disability Income Insurance: The Unique Risk. Homewood, IL: Dow Jones-Irwin. Stapleton, David, Kevin Coleman, Kimberly Dietrich, and Gina Livermore. 1998. "Empirical Analyses of DI and SSI Application and Award Growth." In Growth in Disability Benefits: Explanations and Policy Implications, edited by Kalman Rupp and David Stapleton. Kalamazoo, MI: Upjohn Institute for Employment Research. Stecker, Margaret L. 1951. "Beneficiaries Prefer to Work." Social Security Bulletin 14(1): 15–17. The Social Security Administration maintains historical data about its disability program, as well as its retirement, survivor, and Supplemental Security Income programs. Information is available both in the SSA History Room and on the agency's Web portal. The History Room is in the agency's main complex in suburban Baltimore, Maryland. The SSA Web pages provide the online user with access to an extensive catalog of historical information about the agency's programs and administrative history. The online collection includes legislative documents, chronologies, photographs, video clips, and oral histories. The collection is available at http://www.socialsecurity.gov/history. The Social Security Administration (SSA) began life as the Social Security Board (SSB). The Board itself consisted of three Presidentially appointed executives. In 1939, the Social Security Board lost its independent agency status when the new organization was created at the sub-Cabinet level. The Federal Security Agency encompassed the Social Security Board, the Public Health Service, the Office of Education, the Civilian Conservation Corps, and the U.S. Employment Service. 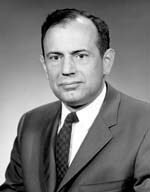 The Social Security Board was renamed the Social Security Administration with Arthur Altmeyer, who had been chairman of the SSB, becoming SSA's first Commissioner. From this point onward, SSA was headed by a single Commissioner. In 1953, the Federal Security Agency was abolished and the Department of Health, Education, and Welfare was created. SSA was part of this new Cabinet-level department. The Department of Health, Education, and Welfare was replaced by the Department of Health and Human Services in 1980. SSA remained part of this Cabinet-level department. Throughout the years, arguments had been heard in the halls of Congress that SSA should be returned to independent agency status. In 1994, such legislation passed both houses of Congress, returning SSA to its original status as an independent agency in 1995. SOURCE: Adapted from Social Security Online, http://www.socialsecurity.gov/history/orghist.html.